One of our old school books. 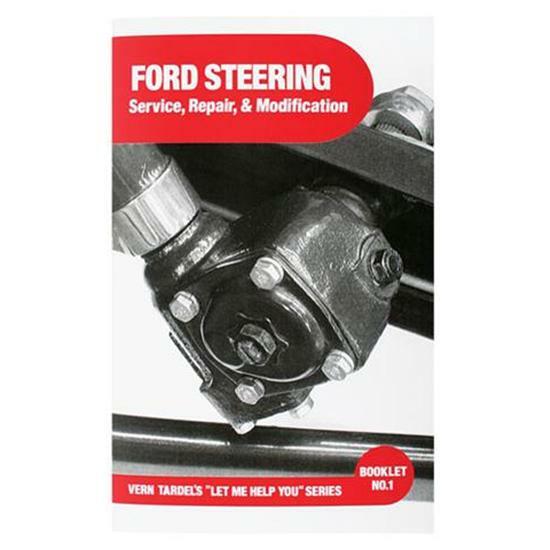 This book walks you through finding, rebuilding, adjusting and modifying a Ford steering box. 24 pages with 47 photos. Covers 1928-1948 Ford cars, 1948-1952 F-1 trucks and 1953-1956 F-100 trucks. Also covers installing a F-1/F-100 steering box in an earlier frame. Covers 28-48 Ford cars, 48-51 F-1 trucks, and 53-56 F-100 trucks as well as installing a F-1/F-100 box in an earlier frame.